Between our two on-campus facilities, we house our 13 majors and provide access to quality equipment from printers to throwing wheels. 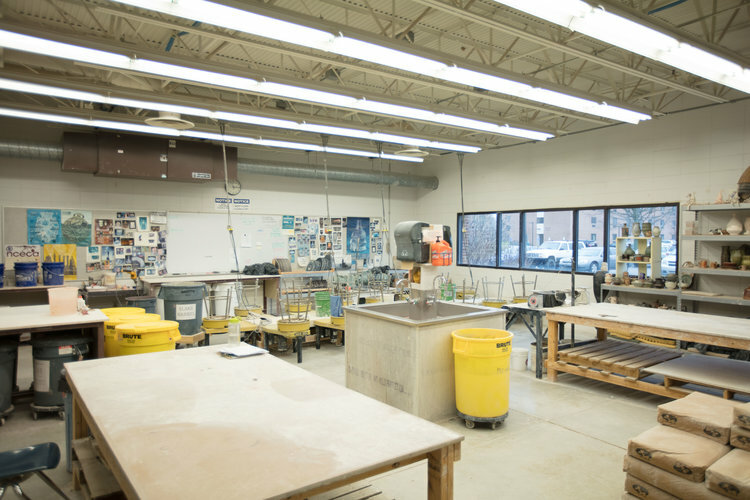 Beard Arts Center houses the Foundry Lab for our Graphic Design majors working with Marion clients, as well as the full ceramics studio with three different kilns, the Photo Lab with CYC wall, and large drawing studios, Epson large format printers, and even a stained glass studio. 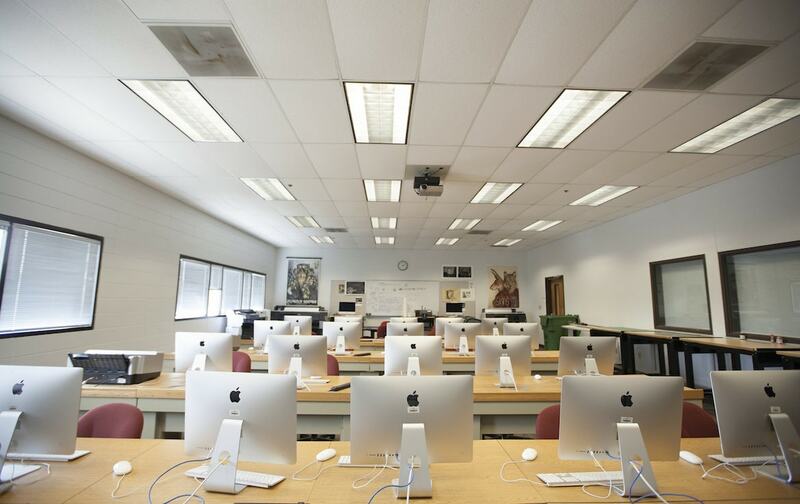 Our Mac labs are updated with the newest Apple models every two years and outfitted with high-quality EPSON wide format printers. This assures that our students are caught up with the latest and greatest technology trends so they'll be on top of their game when entering their field of choice. Our photo area is full of everything you will need for investigating and exploring different methods and styles of photography. Providing spaces for a portrait studio, a cyc wall, and a product studio with lighting and external flash allows students to take pictures in a professional setting. 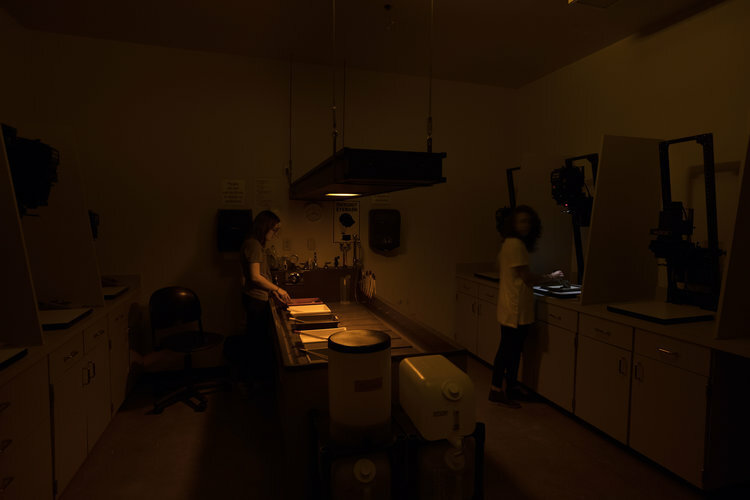 Students also have access to two dark rooms for use in film photography. Design students have access to our MacLab which has the Adobe Creative Suite on each computer for use in the building. Our classrooms are fitted with whiteboards for ideation and The Foundry Ideation Room is able to be reserved for group work and brainstorming. These resources prepare students for life in a studio when they make their leap from here to beyond. 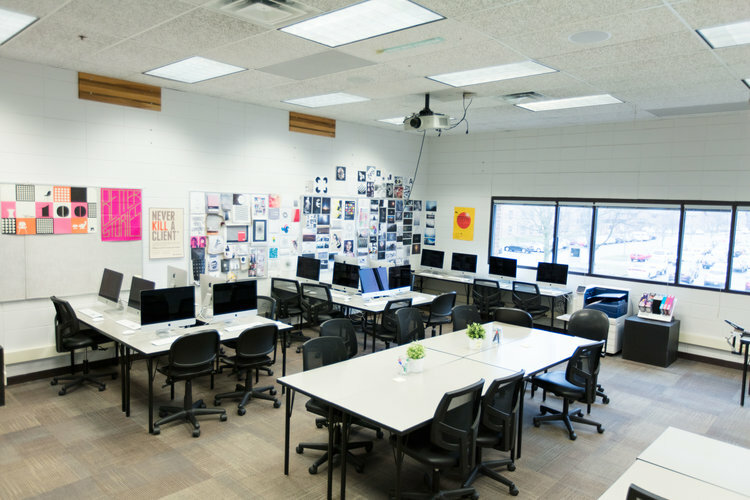 Our Illustration classroom is fitted with drawing desks for students to work and access to creative suite on MacLab computers ensures students have the ability to work either digitally or using various media. Corkboard walls allow for easy critique in class. These resources all help prepare students for working with deadlines and making great work beyond the here and now. Our Ceramics Studios are set up with supplies for making pots and other clay creations. Potters wheels line up along the wall giving students access to space for creating top quality work. Right outside the Ceramics Workshop, is a kiln for firing work and finishing pieces. The Preproom allow students to work on projects using tools needed for finishing. 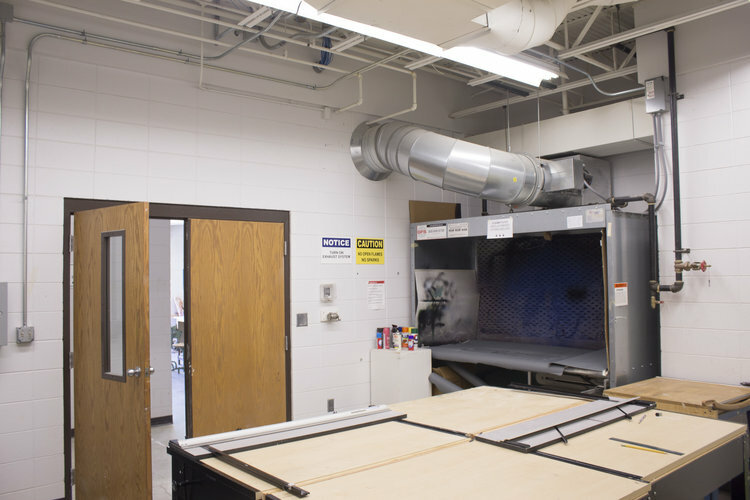 Mat Cutters and a spray booth are accessible for students needing to cut frames, attach work using spray adhesive, or use spray paint. 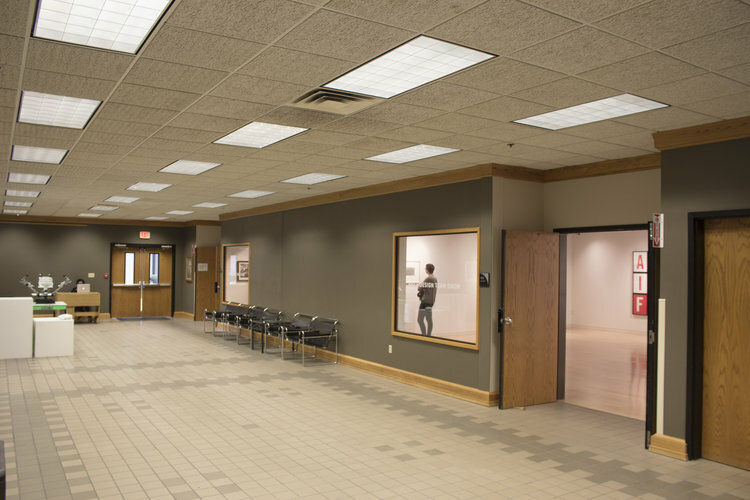 The lecture hall and gallery spaces are located off the main lobby of Beard Art Center. 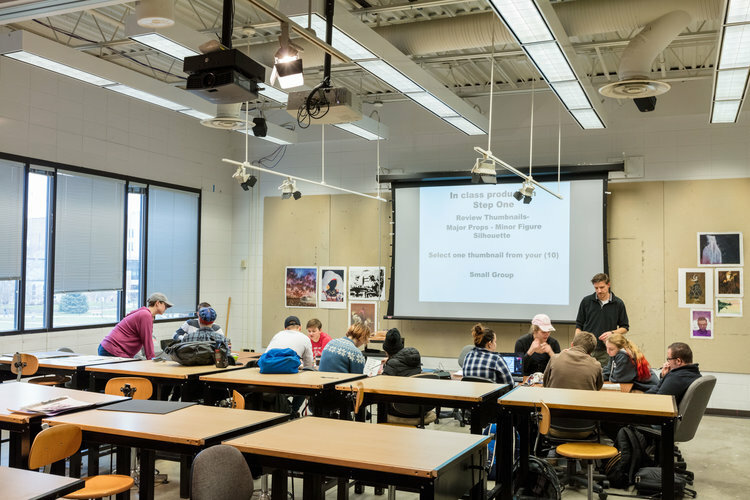 Visiting Artists and Designers come through this space in shifting exhibits throughout the year to exhibit their work and meet students and lecture about their work. These gallery openings present opportunities for students to interact with professionals in their field and widen their horizons about differing forms of art.